We spend hundreds and thousands of bucks on the decoration of our home interior because you just can not simply make a beautiful house by using the mere bricks and wood work. You have to opt for some additional beautification plans to make your place look distinguished. So just for this cause, we have presented you guys numerous decoration plans, but in this article we are working out some décor plans purely for the balconies. 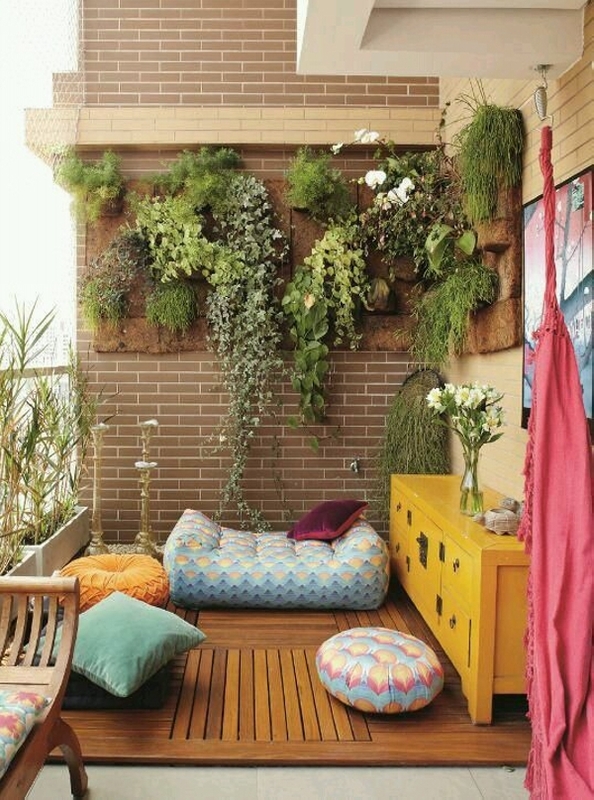 Balconies are probably the least focused areas of house decoration wise, so going against the flow we are offering some decent balcony décor ideas. 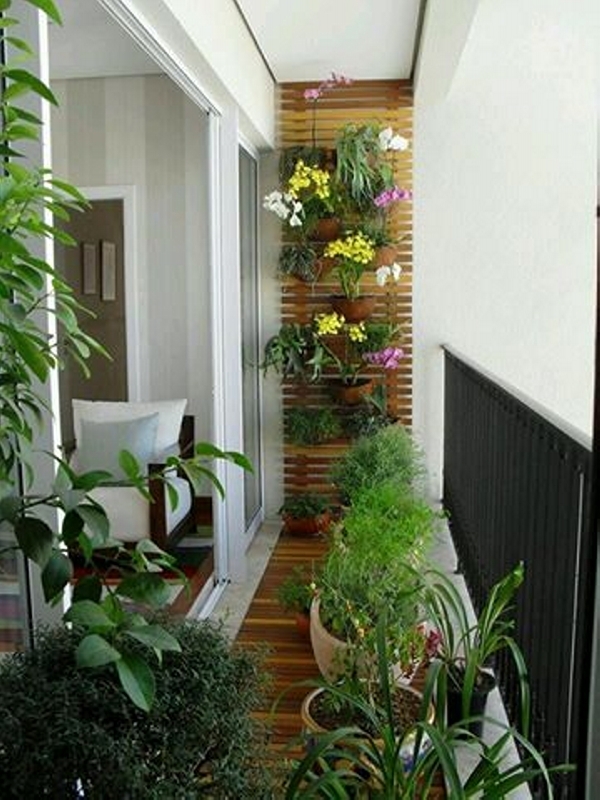 Beginning from this over stuffed green balcony looking more like a garden. 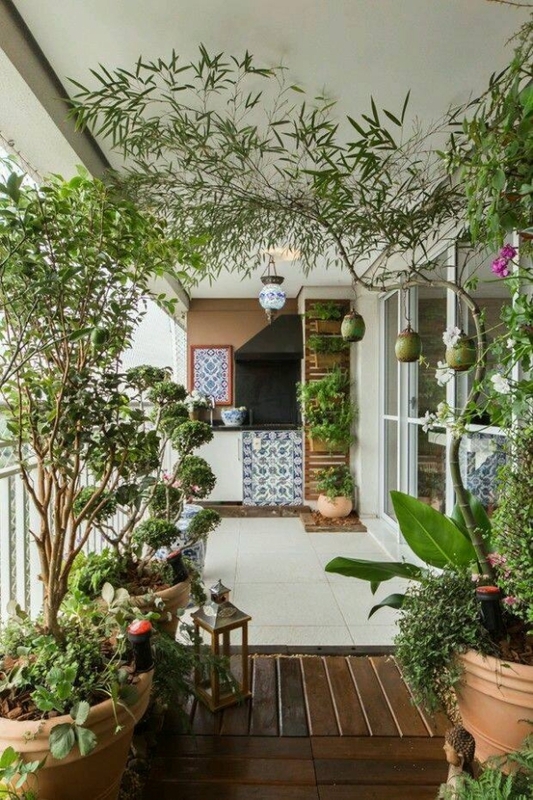 We see a large number of green things inside the view, there are vertical gardens, there are some conventional planter pots which are pretty huge in size, and a wooden deck on the floor is making everything more prominent. These conventional easy wooden chairs are nonetheless a great idea, and we have also arranged for a couple of unique concrete round planters carrying some leafy plants and shrubs. 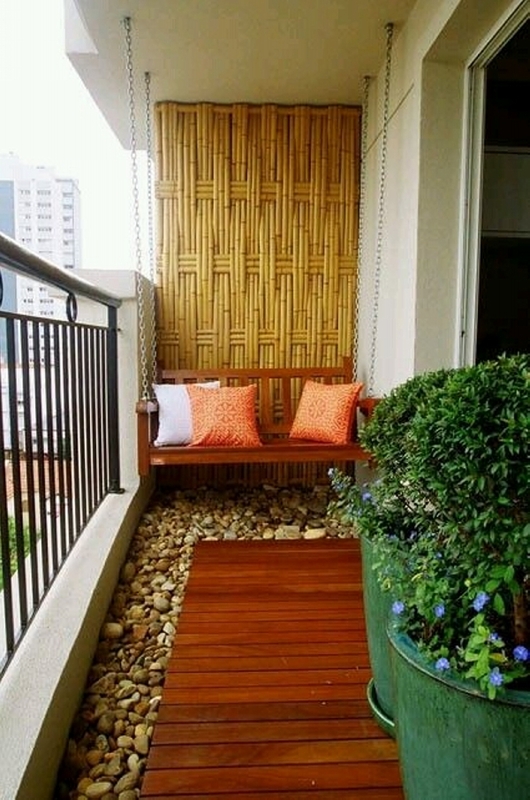 The wooden flooring is already there, while a bit of wall art décor is also used to escalate the beauty of balcony. 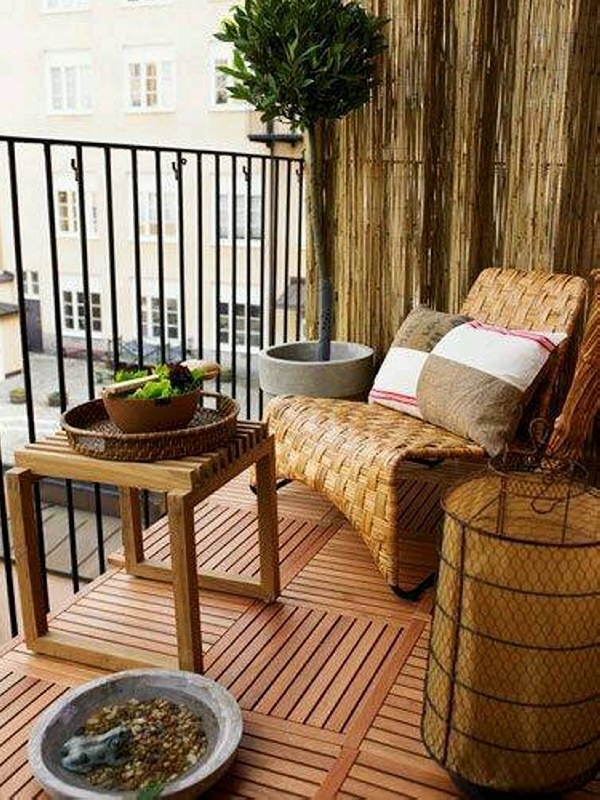 Seems like wooden pallets are more focused here in these classic balcony décor ideas. 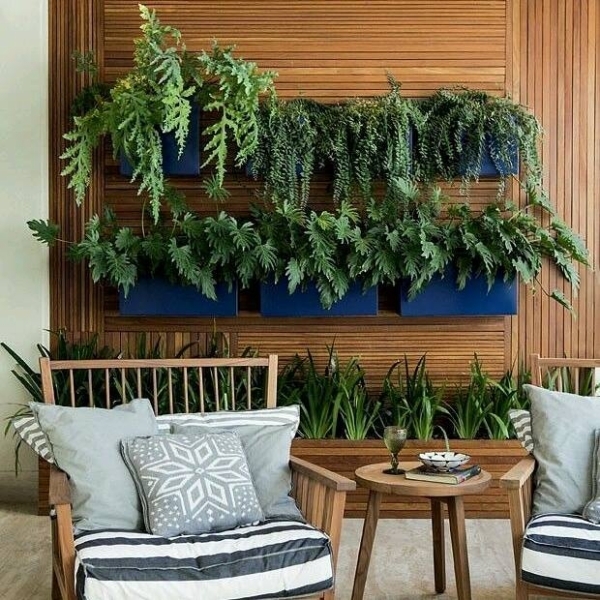 Like here we a see a whole range of wooden wall pallet planters hanging like a decent vertical garden. The accent wall is also made using the wood pallet planks. Have a closer look of this long and tall pallet wood planter. It is carrying some shrubs that are not seasonal, this is over shadowing the entire view turning it to look like a green landscape. 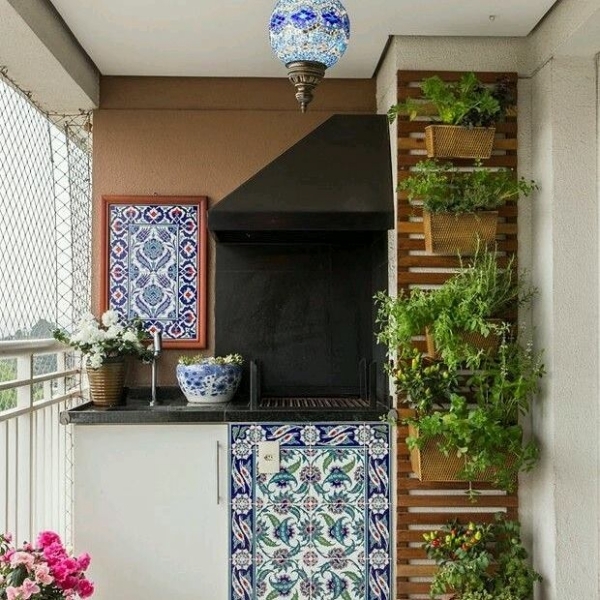 While the printed ceramic tiles are also an additional support in the whole view. And here comes a huge and wide wood pallet wall planter. This could also be called as vertical garden as it is carrying the additional planter pots on each tier of the pallet planter. The colorful flowers are adding more charm and the big round ground planters made with ceramic are an additional incentive to the venue. 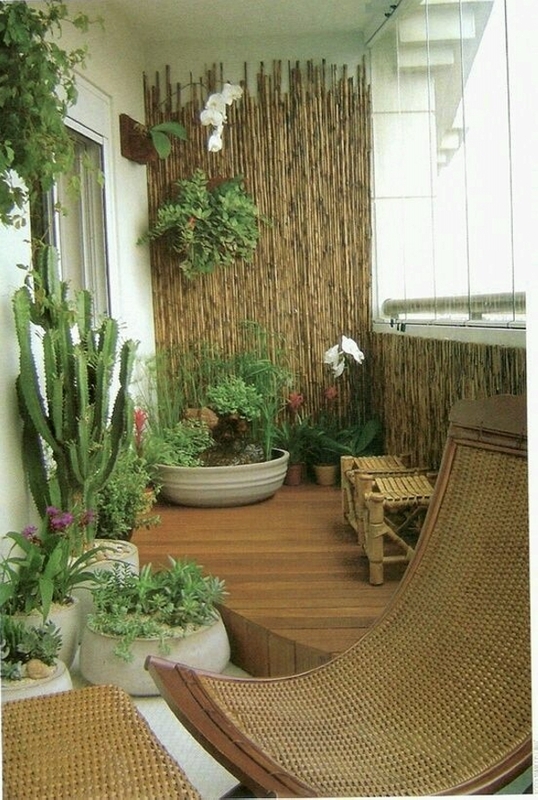 Wow, I am just speechless about this balcony décor plan. This is probably made by some fanatic who is obsessed with the beauty of pallet wood creations and is also deeply in love with the greenery. 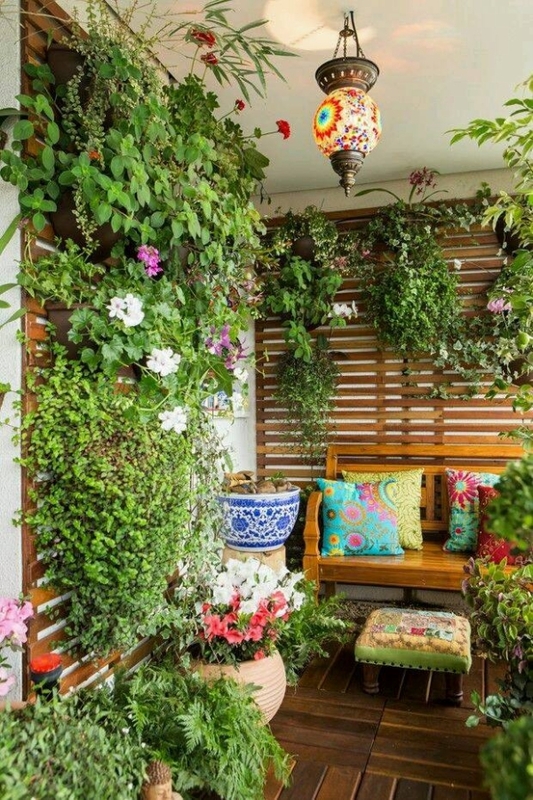 Wooden pallet couch, vertical garden, ceramic planters all are simply adorable. Over stuffing is not necessary all the times, you can keep it simple just like this one. 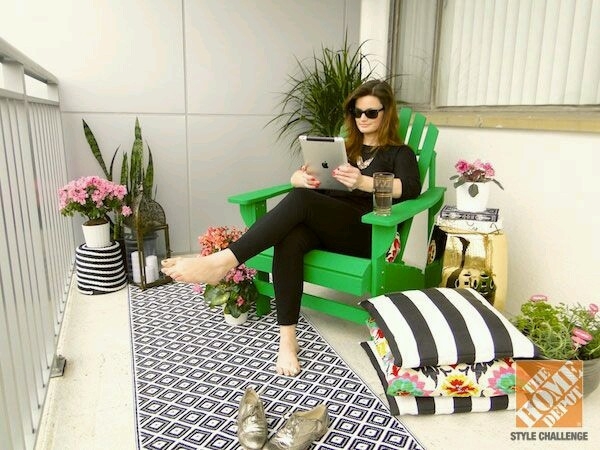 Just look at the decent rug all along the border area, and a decent pallet wood couch with an exclusive color is making its mark. Unique vase is also making its appearance so loud. And finally here we come across another over stuffed balcony décor idea. A whole bunch of pallet wood creations is there which is dominating the entire scene, the rest is captured by the greenery and a vintage vertical garden. The side table and slim vase is just a distinction to the site.